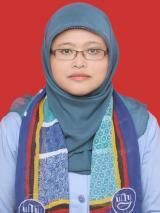 B. Yuniar Diyanti, S.Pd., M.Hum. Empowering Language Learners through Educative Assessment: An Attempt to Develop Learners’ Competence to Self-assess their Learning. Paper presented in International Seminar on World Class University, Yogyakarta State University. July 17, 2009. Computer Assisted Language Learning: Teaching Vocabulary Using Blog. Paper presented in Call Seminar, Sanata Dharma University. December 22-23, 2008. Providing Opportunities for Young Learners to Speak in English. Paper presented in TEYL Seminar, Sanatha Dharma University, March 29-30, 2010. Teaching English to Young Learners: Learning Materials. Needs Analysis for Pre-departure Training Program. Computer Assisted Language Learning: Teaching Vocabulary Using Blog. Teaching Listening and Speaking to Young Learners. Paper presented in the training of Elementary and Junior High School Teachers, Faculty of Language and Arts, Yogyakarta State University December 20-23, 2006. Workshop on Gaining Awareness of Teaching and Making Informed Teaching Decisions through Observation with Prof. Jerry G. Gebhard, Ed.D.